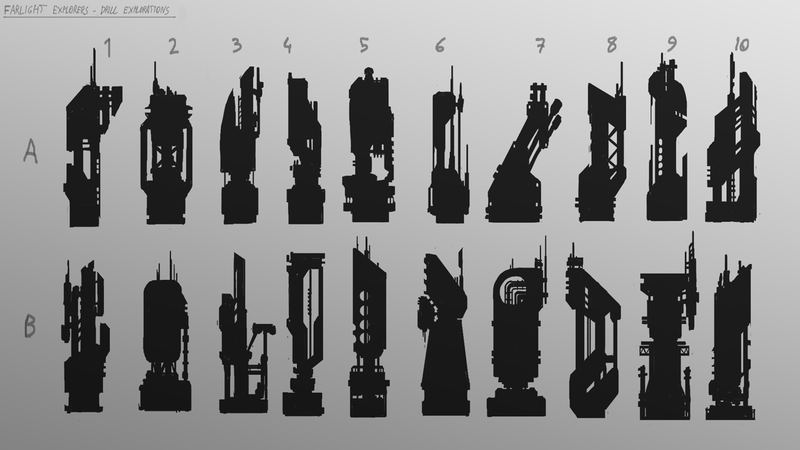 We would like to show you all the process of exploration, research and choosing of the concept art that we followed in the ore extractor.First we made an exploration with several silhouettes. It is like to do a brainstorming with concepts. Then we selected the “B10” with a little modification. 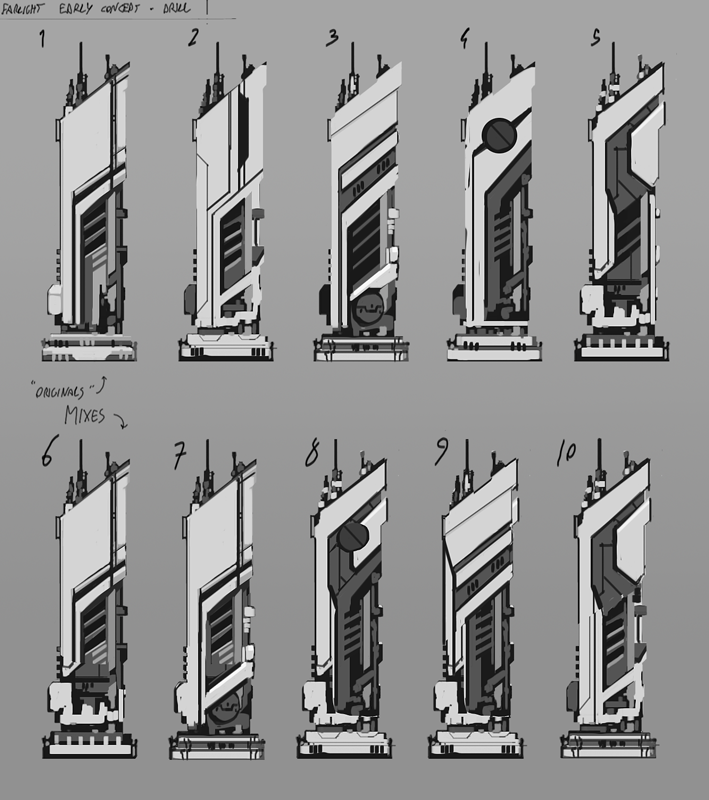 With this idea the concept artist started to do a more detailed exploration with many combinations and mixes, in order to find a more detailed concept. We chose the “1” and we tried some mixes. 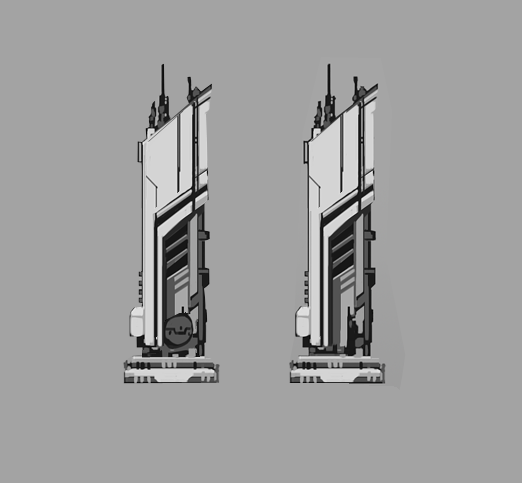 Once the concept artist had the model selected, he started to design the details of the piece. 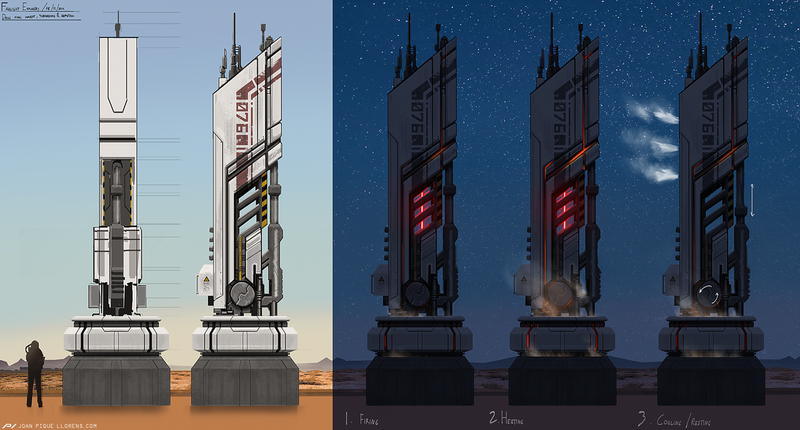 And finally we got the concept finished. 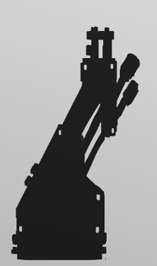 Thanks of the first exploration, we took the idea of the water pump, it will be the “A7”. 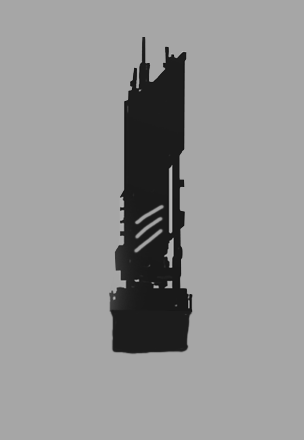 And that is how we did all the concept process of the ore extractor. I hope you like it.